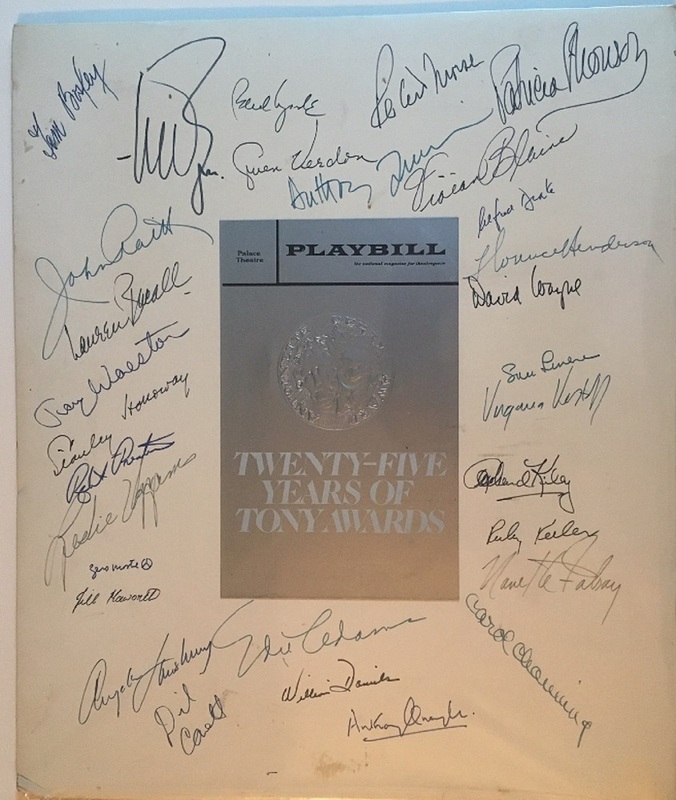 [Broadway] 30 Tony Award Winners on a 17 x 20 white foamboard with the silver cover of the Playbill magazine "Twenty five years of Tony Awards" in the center. The stars have added their over-sized signatures on the board. 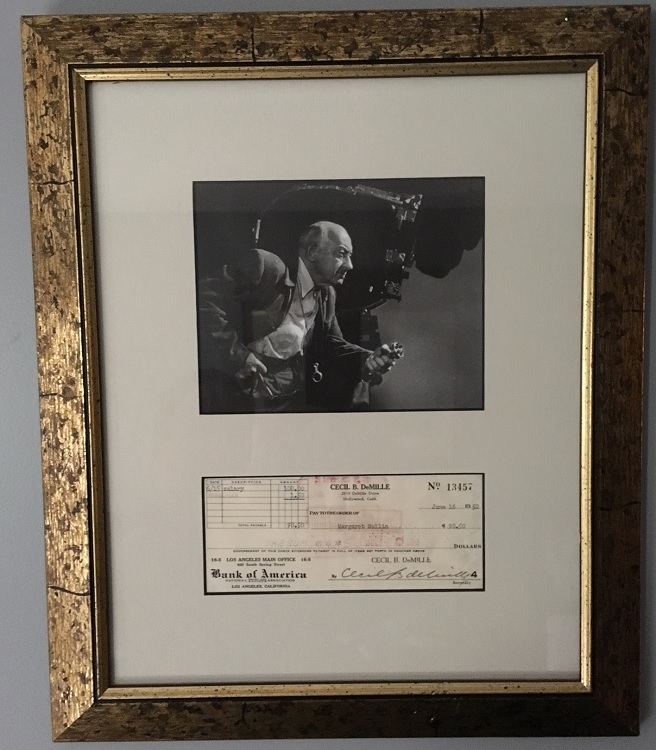 Cecil B. DeMille Hollywood producer and director, signed personal check 6/16/52 with a reproduction of a Karsch portrait. Professionally framed. Will Hayes Postmaster General and head of the Motion Picture Producers. 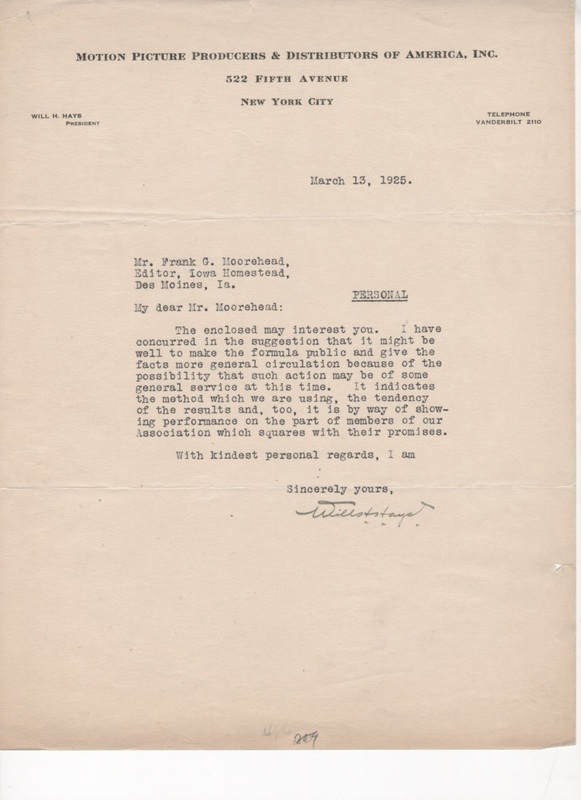 Interesting LS on Motion Picture Producers stationary 3/13/25 regarding “The Formula” he developed to keep movies wholesome and avoid government censorship. Three page ALS April 30,1889 from Castle Hill in Virginia. In response to a request for a signed photograph the then popular author explains that her supply is gone. 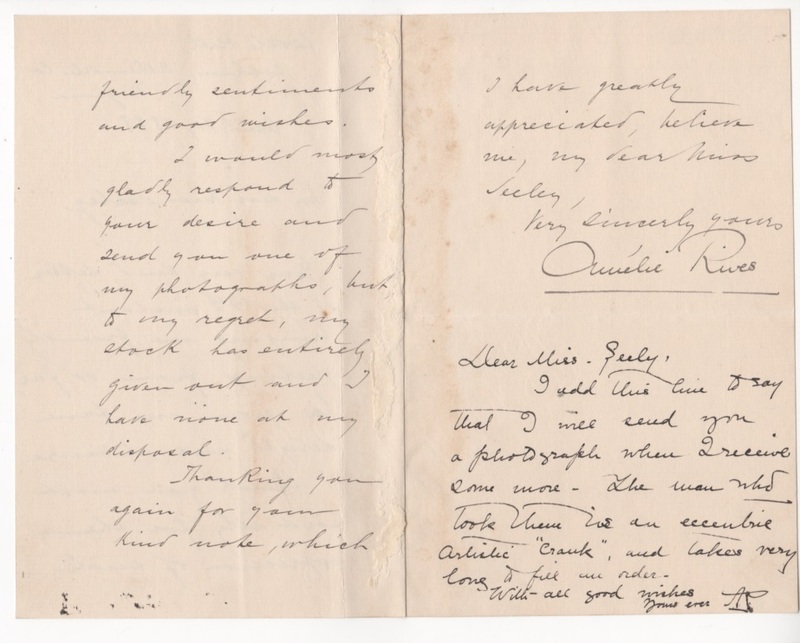 In another hand is an initialed postscript that she will send the photograph when she gets a new supply but the photographer is a “crank” and apparently not very good at filling orders. There is some toning to the letter with mounting remnants on along the fold of the 2nd and 3rd pages. Rives was an author and poet whose fame and popularity may have been driven by her personality as much as her writing. Her first marriage, to a descendent of John Jacob Astor ended in divorce and her second marriage was to the artist Prince Pierre Troubetzkoy of Russian nobility. Rives’ godfather was Confederate General Robert E. Lee. Her father Alfred was a Colonel in the Confederate Army and the Chief of Engineers to Lee. She eventually inherited and lived in Castle Hill, a plantation near Monticello which is now listed on the US National Register of Historic Places.